To contact the Reading-Berks Association of Realtors, Inc. go to www.realestateinberks.com. The Greater Reading area has and always will be a great place to live and buy a homeIn its entirety, 2013 proved to be a good year for housing. Home sales and prices were broadly higher across the nation, while foreclosure loads, the number of homes for sale and the number of days it took to sell a home were all much lower. Multiple-offer situations became commonplace again and prices in many areas rallied to multi-year highs. This, of course, varied by location and segment, but the proverbial glass appeared to be more than half full throughout the year. New Listings increased 15.2 percent to 1,350. Pending Sales were down 1.5 percent to 803. Inventory levels shrank 7.4 percent to 2,643 units. Prices marched higher. The Median Sales Price increased 3.4 percent to $145,000. The number of days on the market was down 13.7 percent to 88 days. Absorption rates improved as the months’ supply of Inventory was down 11.8 percent to 8.2 months. Housing is fortified by confident consumers and good jobs. The year 2013 was marked by a slowly improving labor market stunted by political gridlock, and the Federal Reserve's long-awaited taper announcement was not surprising. Interest rates remain low (but upwardly mobile), prices are still affordable, the employment picture looks decent and the stock market is up nearly 30.0 percent from this time last year. It's no wonder that buyers were active in 2013. As for the future of real estate in Berks, it has been and will continue to be a great area to live and to invest in real estate. We offer a diversity of job opportunities, a fair amount of land yet to be developed, and very reasonable housing costs. The area offers affordable housing, great communities and a short drive to major cities like Allentown, Harrisburg, or Philadelphia. There is also so much to do right here in our community. We have infinite dining choices, theatre, concert venues, museums, local sports teams, great shopping and beautiful parks and trails. The Reading-Berks Association of REALTORS® is a professional trade association for licensed real estate practitioners. Membership in the organization is voluntary and consists of both residential and commercial agents and brokers as well as industry affiliates. R-BAR's membership currently consists of approximately 775 real estate licensees, and only Realtor® members are authorized to use the trademark term, REALTOR®. 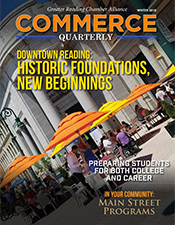 Greater Reading's broad-based economy fosters prosperity. 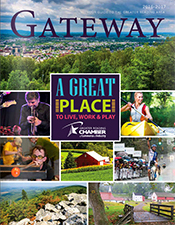 Greater Reading is building its reputation as a truly great place to live, work and do business. Once known primarily for agriculture and manufacturing, Greater Reading is changing to meet the demands of today's global economy. Greater Reading has the advantage of a well-qualified labor pool recognized nationally for its superior work ethic. Our diverse workforce with an above average education contributes to the increase in the labor supply. And it's growing! Parents of elementary/secondary school-aged children in Greater Reading have a variety of educational options - from the traditional public school system to numerous private schools, cyber schools and home schools. The Greater Reading community is rich in educational opportunities. For a complete listing of area schools, log onto www.berksiu.k12.pa.us. Greater Reading Boasts of Five Area Colleges! Living in the Greater Reading/Berks area puts you in close proximity to distinctive regional healthcare services, including community-based primary care, and an incredibly wide range of specialty care practices. Especially prominent here are the heart, cancer, orthopedic, and surgical specialties. Also included are individualized prevention and wellness programs, state-of-the-art diagnostic technologies, supplemental home healthcare and hospice services, and a broad variety of educational events and support programs to keep the community informed of pertinent health and wellness issues. Exceptional Doctors Attending - Our area's physicians are recognized as among the best in the country, with offices conveniently located throughout the county and adjacent counties. In addition to providing excellent patient care, our doctors are involved in major research studies to find better ways to prevent and treat illnesses. They are pioneers in utilizing the latest medical technology and performing groundbreaking procedures. Many are recognized internationally and have teaching affiliations within the metro Philadelphia, Baltimore-Washington, and New York City areas. Valuing the quality of life it provides, they choose Berks County for their residence, commuting to the larger cities for their academic work, research and teaching assignments. Knowing How to Treat People - Greater Reading/Berks County is lucky to have two hospitals - facilities making their way through an ever-changing healthcare environment undergoing numerous financial, regulatory, and public policy challenges. They accomplish this while continually focusing on the core mission of patient care and safety. Greater Reading is blessed with many houses of worship. You will find places to be ministered to and opportunities to join in the ministry to others. The Reading Berks Conference of Churches represents over 400 congregations and over 25 religious organizations. Please consult their website for further information: www.readingberkschurches.org.